It isn’t just a pipe dream anymore. 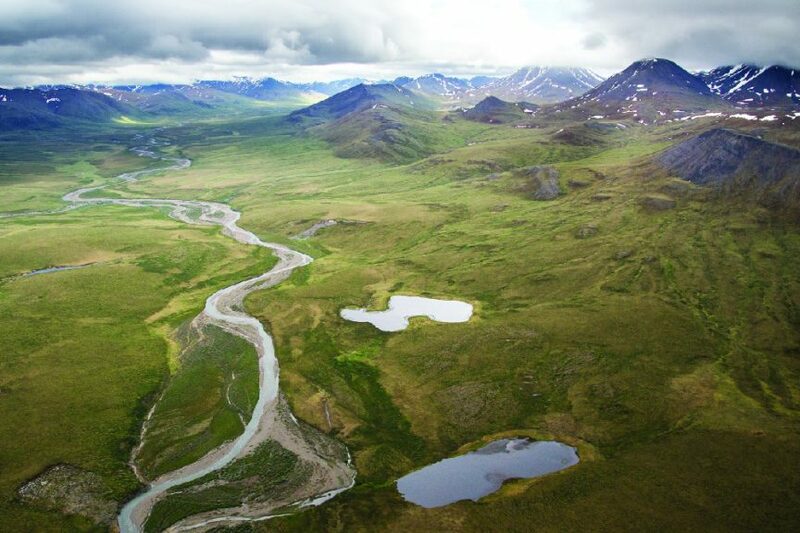 At the end of last year, Alaska Governor Bill Walker signed an agreement with a group of Chinese investors to fund construction of a pipeline between the gas fields of the North Slope and the Kenai Peninsula, just south of Anchorage. The gas would be transported directly to the peninsula and liquified before their final shipment. If completed, the North Slope pipeline would open Alaska’s lines of natural gas production to China, Japan, South Korea, and other thriving markets, revitalizing the local economy in the process. While the project won’t break ground until sometime next year, its progress has been nothing short of a godsend for the state. After lengthy negotiations that began last May, the state of Alaska reached an agreement with China Investment Corp., CIC Capital Corporation, Bank of China, and the Chinese oil and gas company Sinopec. The state-sponsored Alaska Gasline Development Corp. will claim majority ownership of the project, and Sinopec will purchase the gas. 75% of the liquefied natural gas (LNG) will go to China, while Alaska will sell the remaining 25% to other countries. “Today’s agreement brings the potential customer, lender, equity investor, and developer together with a common objective of crafting mutually beneficial agreements leading to increased LNG trade between Alaska and China,” Keith Meyer, President of the Alaska Gasline Development Corp., told the Washington Examiner in November. Since the North Slope’s current gas reserves total about 35 trillion cubic feet, the pipeline will surely reinvigorate the state’s largest industry by creating additional jobs and attracting domestic and foreign investment. The agreement isn’t the only good news for Alaska’s energy industry. In June 2017, the Alaska Gasline Development Corp. established a similar agreement with the Korea Gas Corp. to supply natural gas to South Korea, encouraging further development of Alaska’s natural gas infrastructure. With Alaska’s natural gas sector set to significantly expand in the coming years, energy companies in the state will need to ensure the roads leading to and from their facilities are intact and stable year-round. The proper implementation of an effective soil stabilization program can help them suppress fugitive dust emissions on their access roads throughout the year and prolong those roads’ service lives for decades. For more than four decades, Midwest Industrial Supply, Inc. has worked with energy companies around the world to develop customized soil stabilization programs backed by industry-leading products. That includes our patented Soil-Sement® product, which settles into the aggregate and mixes with the native soils to form a sturdy and impenetrable surface that traps dust as soon as it’s generated. This increases the surface’s load bearing capacity, offers greater resistance to precipitation and extreme temperatures, and eliminates the need for watering. Midwest can provide your company or worksite with a customized application plan or managed service program that’s specifically tailored to your needs. As Alaska’s natural gas sector prepares for sudden spikes in production, Midwest stands ready to help producers achieve their goals without sacrificing performance.